Being a craft hoarder at heart, I went to throw away this juice carton and in mid throw I stopped myself. I decided to myself up to the challenge and upcycle it. I stared at it for a bit and stared some more. After a few minutes knowing that Valentine’s Day is right around the corner I willed myself into a trash to treasure making a Recycled Carton and Straw Treat Box. 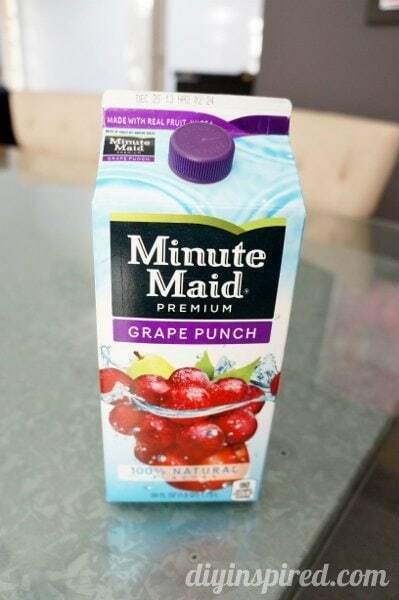 Here’s the juice container that taunted me. I cut it in half by measuring and marking with a pencil and ruler and cutting with a craft knife. I measured about three inches from the bottom. I washed and dried my new box… oh and the craft knife and ruler too because they got sticky (apparently I didn’t rinse out the carton well enough). The straws are a little over seven inches, so I ended up cutting them into three and a half inch pieces. To make it easy, I used the ruler each time and cut. 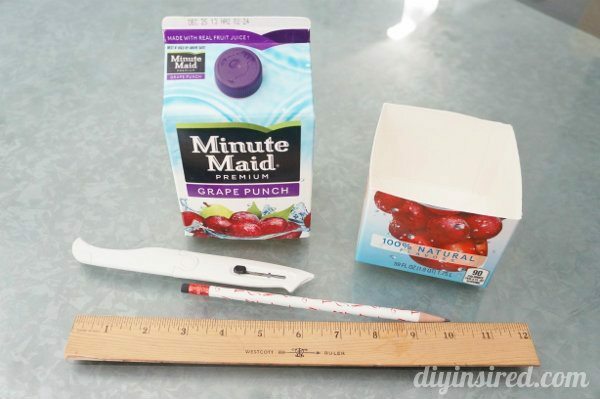 One by one I hot glued each straw to the carton. 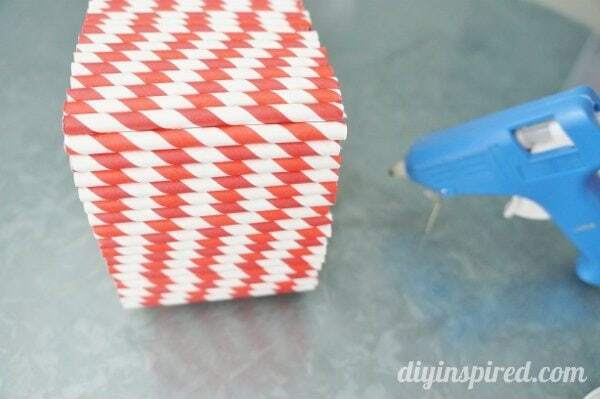 You can kind-of-sort-of create a pattern by arranging the stripes as you go. Make sure you know which side you want to show before you add the hot glue since it dries so quickly. A large treat bag fits perfectly over the treat box. 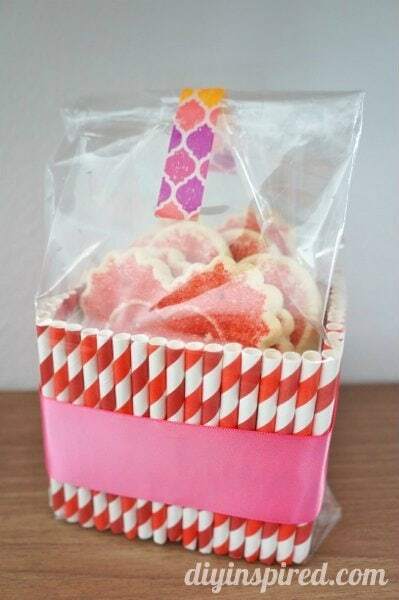 I filled it with Valentine’s day heart shaped cookies from my bakery (no I didn’t make them!). 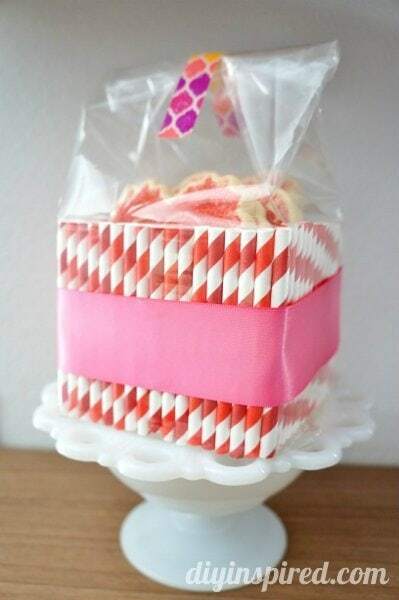 I closed the top with a little bit of fun patterned washi tape and tied a pink ribbon around the outside of the plastic bag. There you have it! Instant treat box! 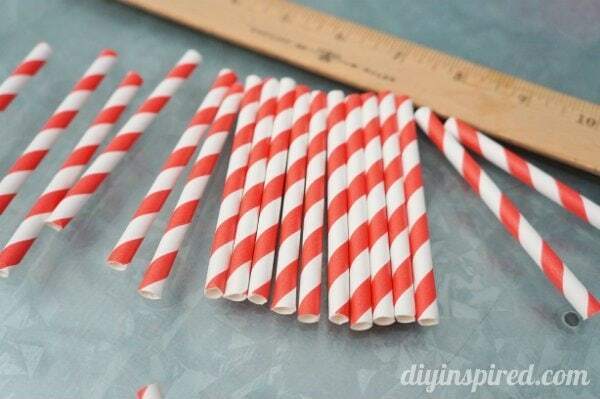 You can use these for any holiday or occasion and switch up the straw colors. I thought that this one would be cute for Christmas as well.